Chencom Enterprise ( M ) Sdn Bhd is currently expanding rapidly with the uptake of additional trucks to meet the high demands of the shipping services provided by Chencom. One of Chencom's goals is to establish trustable logistics coverage on all parts of Johor Bahru and the Republic of Singapore. Chencom currently covers consolidated shipping services, freight forwarding, haulage, container shipping services , and many other smaller forms of transportation methods, amongst other services. Chencom's biggest concerns include safety, security and efficiency. At Chencom, we bring excellence in shipping service to you. We provide the best shipping service at a very affordable price, ensuring that you can relax in peace knowing that your shipments are in good hands. Trust on us to deliver your goods safely, securely, on time, every time. Trusted by clients from all over the world, we provide nearly all logistics services as well as marine related information. We provide online quotes for all our services, so you can contact us online to help you serve better. 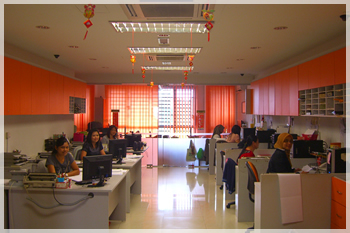 Chencom Enterprise ( M ) Sdn Bhd WHY CHOOSE US?